Kotlin Integrating Google’s reCAPTCHA on the android app. 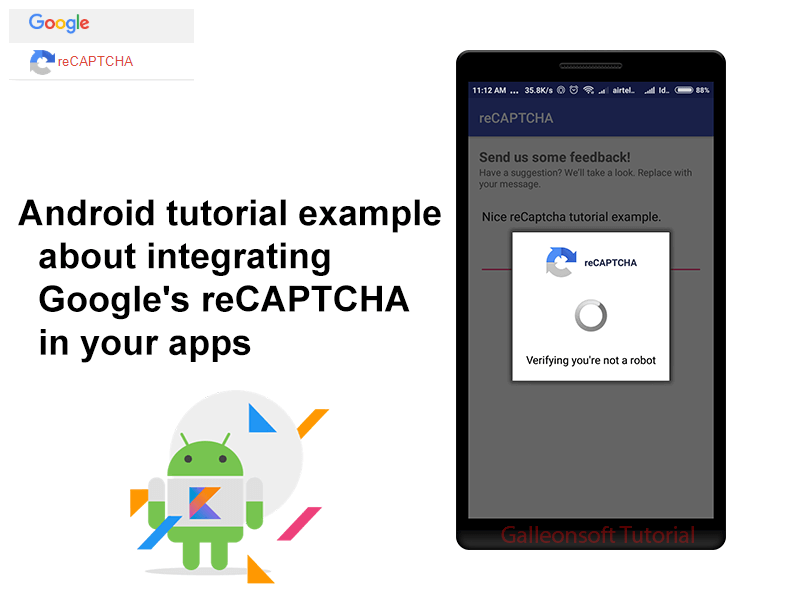 Android Kotlin tutorial about integrating Google’s safetynet reCAPTCHA in your apps with a tutorial example. Also explained how to validate the token on the server using PHP Rest-API. Google’s safetynet reCaptcha API protects your android-kotlin app from malicious traffic, robots. You might have seen the reCaptcha safetynet integrated on API, website, kotlin App. You can integrate the same in your Android kotlin apps too using SafetyNet API. The safetynet service is free to use and it will show a Captcha to be solved if the engine suspects user interaction to be a bot instead of human. 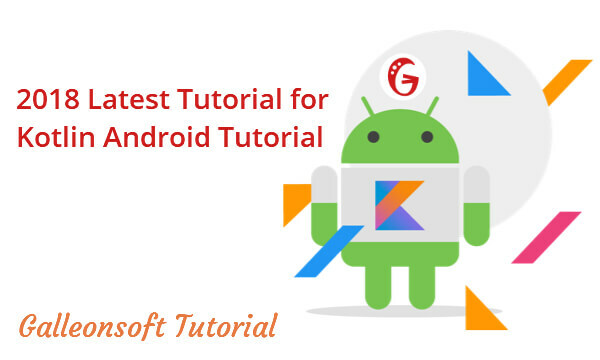 Let’s Start work on integrating Google’s reCAPTCHA on Android Kotlin Example. Easy to add, advanced security. reCAPTCHA is a free service that protects your site from spam and abuse. It uses advanced risk analysis techniques to tell humans and bots apart. With the new API, a significant number of your valid human users will pass the reCAPTCHA challenge without having to solve a CAPTCHA. reCAPTCHA comes in the form of a widget that you can easily add to your blog, forum, registration form, etc. And now safetynet reCAPTCHA Powered by machine learning. Follow the below steps to obtain your Secret key and Site Key for API. 1. Open reCAPTCHA Registration page and fill out the details. 2. Then Enter Label, and choose the type of reCaptcha –> reCAPTCHA Android. (Google account login is required for safetynet reCAPTCHA Key). 4. Accept the terms of reCAPTCHA and Register. Once reCAPTCHA registered, you can see Adding reCAPTCHA to your app –> Step 1: Client-side integration and Step 2: Server side integration are displayed on the screen along with sample code. 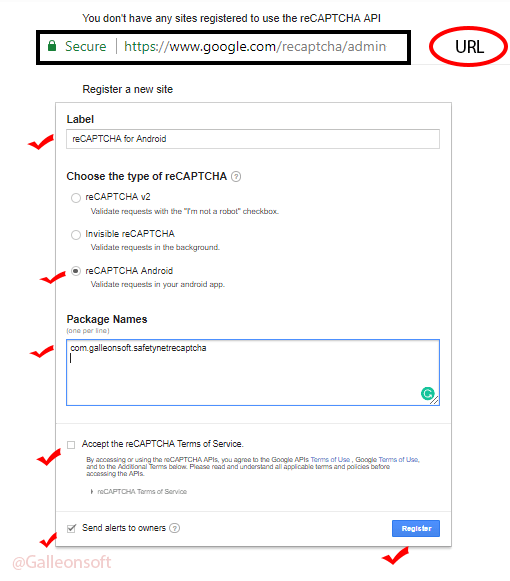 [Tips: Remember Site key for android app and Secret key for your server API Both are required and make sure your package name is added in recaptcha admin]. See below image for more bits of help. • Click on Android Studio Icon ( Open Android Studio ). ○ If you have already opened Android Studio from File ⇒ New Project. • Start a new Android Studio Project. Then fill the displayed form. ○ See below-required details like this with an example. ○ Check Include Kotlin Support. ○ Check Phone and Tablet. • Add an Activity to Mobile you should Select Empty Activity. ○ You can select Basic Activity / Empty Activity. More options are available. • Create a new empty activity. ○ Enter Activity Name (Example: MainActivity). ○ Enter Layout Name (Example: activity_main). ○ Wait for few minutes to creating and building your projects. Open the layout file of ( activity_main.xml ) and add the below XML code. 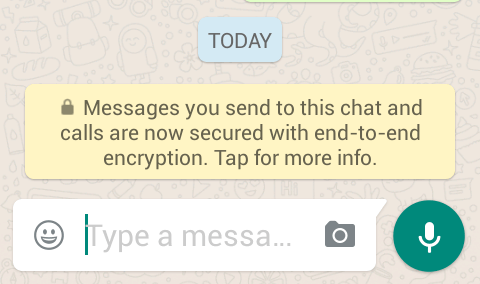 android:text="Thanks for your message feedback. We\'ll get back to you soon!" Create a new class named ApiPostHelper.kt This Object/Class for POST API. Also, it helps in others projects. This class required for HttpURLConnection Method. You can use alternatively Volley, Retrofit, etc. 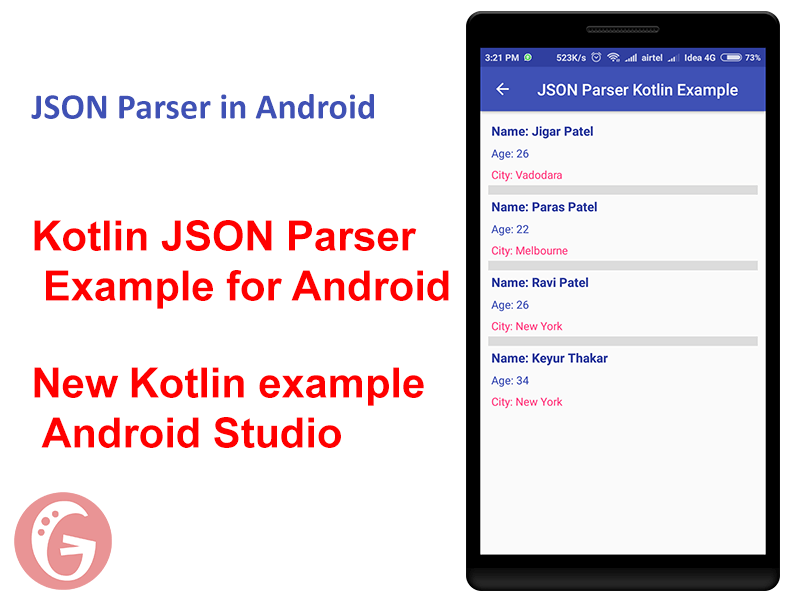 Create Kotlin object ApiPostHelper.kt and put the below code. private val TAG = "reCAPTCHA_Activity"
private val SAFETY_NET_API_KEY = "6LdYZFoUAAAAAAXxuGh0OAnQ_8moTpkzhEtcqARB"
private val VERIFY_ON_API_URL_SERVER = "http://apps.galleonsoft.com/api-example/safetynet-recaptcha-verfication.php"
☻ Don’t forget to change SAFETY_NET_API_KEY and VERIFY_ON_API_URL_SERVER on “reCAPTCHA_Activity.kt” kotlin class file replace the value with yours. G. Open AndroidManifest.xml and We need to add INTERNET permission. Below is the API (PHP code) to validate the reCaptcha token on the server API. See above guide “How to get SafetyNet Site Key and Secret” You need to set Secret Key and host the PHP code on your server/hosting to make it work for your kotlin/android app. If you have any issues, queries or any suggestions please comment at below. You can download our source code for captcha in android example using below link. Good help on reCAPTCHA on Android kotlin. Thanks, it’s really helped me. Can you share recaptcha in android java example? Perfectly working thanks for coding in kotlin android.